When Insecurity Tries To Run Your Life. I was never really into sports or fitness as a kid or even as a teenager. I never got involved in any sports clubs and I hated P.E. I suppose some of this came from not being very good at any of it, I'm the kind of person who is able to trip over while standing still, Im not very fast and my hand eye coordination is pretty poor. Looking back at this now I know that my determination not to take part came from my insecurity, a constant fear of looking silly, being laughed at, or perhaps thought of as a bit of a loser by my peers, or worse my friends. This was just one area of my life that my insecurities would wreak havoc, truthfully I chose not to do a lot of things out of my fear and self doubt, in many ways I think these insecurities were almost encouraged by my mother, who was forever telling me that sport wasn't something that 'we' were very good at, when at 13 I thought about applying for the french exchange organised by the school (a rare moment of confidence) I was told I wouldn't like it, I'd get homesick and it would be awful. I never applied and went on to find doing many things (especially going to university) extremely difficult due to the 'what if' factor that had been engrained into me, forever believing it might be awful, I might not like it, it might go wrong, I might make a fool of myself and on and on it went. I originally didn't apply to university because she told me I wasn't academic and university wasn't for me. My sister encouraged me to apply anyway and when the millions of 'what if's' came pouring out, her response was 'so what? What if none of that happens and you love it?' I know now that that was the moment I started fighting back against my insecurities and fears running my life. I did go to university and I loved it, it was one of the best things I ever chose to do. Now when the 'what ifs' creep into my mind I remind myself that I moved to a new city all alone, met some of my very best friends, moved in and out of 3 different houses, met the love of my life and found a whole new confidence I never knew I could have. If I can do that when I felt how I did about myself, I know I can do anything I want. So all of this sounds like I have conquered my insecurities and live my life with confidence. I think most people will know that isn't entirely true, everyone has insecurities, everyone feels frightened, we all have to work hard to not let those insecurities rule our decisions. I work very hard every day to do just that and over the weekend I realised I had begun to conquer another anxiety that I hadn't consciously acknowledged. I began to enjoy running. I'll start from the beginning and explain. As I said at the start, I never liked sports or fitness. 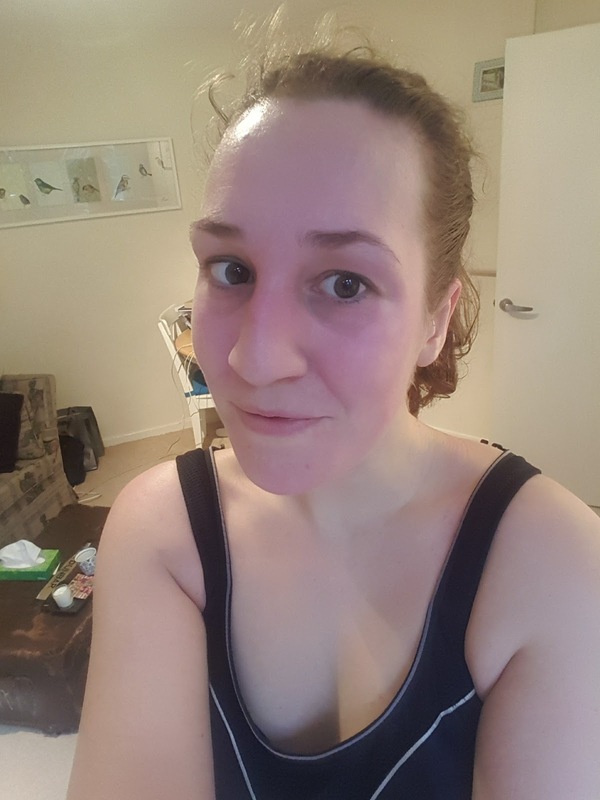 But in my second year of uni my housemate signed up to do a Race for Life and said I should do it with her, I decided to give it a go and having never even run for a bus decided I should probably do some training so I could at least run some of the 5k. Once I began training I started to get really into it, I wanted to not need to walk any part of the race and at some point I got it into my head that I needed to do it in no more than 35 minutes, otherwise I'd failed. I put it down to competitiveness, but I knew deep down the need to run all of it, to do it in a specific time frame came from a fear of what people would think about how unfit I was, I was embarrassed at how short a distance I could run. I did ultimately do the race in less than 35 minutes, but I didn't feel good about it, I just thought I should have been able to do it quicker. I stopped running for a while after and eventually I had forgotten about it. In my final year of uni I joined the gym, I never became obsessive with it, I enjoyed going to yoga and pilates classes and liked using the gym with my housemate, but I would never go by myself, if my housemate couldn't go I wouldn't go either. I don't really know why, I was just embarrassed to turn up alone, I felt less self conscious if I went with a friend. Two years ago I tried to take up running again, I signed up for another race for life to give myself a deadline to encourage me to actually get out and run. But I wouldn't run in the streets around my house, I would walk 10 minutes to the riverside and run there, because I didn't want lots of people to see me running. I was embarrassed about them seeing how red I go, hear me out of breath and maybe judge me for how often I might need to stop. Rationally I knew it shouldn't matter what some random person thinks about my running, I should have run wherever I wanted to. This need to run where people wouldn't see me meant that I didn't go as often as I had intended, it meant if I wanted to go for a short run, I had to factor in my walk to the riverside and back. I also ended up running the same route over and over, which meant that I knew it so well I would know how much further I had to go and it got very boring. Ultimately I lost the will to keep going with it and haven't taken it up again since. That is until recently. I'm not sure what changed, maybe it's that I have started working out at home and in front of Ciarán (I previously would work out where he couldn't see me, out of some embarrassment which rationally I knew was silly, but couldn't help), perhaps getting used to exercising, and being bad at it in front of someone else who isn't judging me, isn't even paying attention to me attempting burpees in the living room, has helped me to not be so concerned about people seeing me run. But a couple of weeks ago I decided I really want to go for a run, so I got all my gear on, stepped outside my front door and started running, I did a short one mile loop around the streets near my flat. I had to stop to catch my breath a couple of times and I was the most magnificent shade of red, but I didn't care, I was pleased I had gone. Because I hadn't pressured myself into going much further than I could handle I didn't end up feeling stressed about going again. The next time I went just a little further, maybe a mile and half, again I needed to stop and walk to catch my breath but it didn't bother me, where before I would be so angry at myself for needing to stop. Last weekend I ran two miles and stopped to catch my breath for the first time at the one mile mark, this is a real achievement for me. I came home and felt really happy with how far I had gone and that I hadn't needed to stop until one mile. It's such a big change from never being able to be proud of myself, because my small achievement was nothing compared to what some people can do. 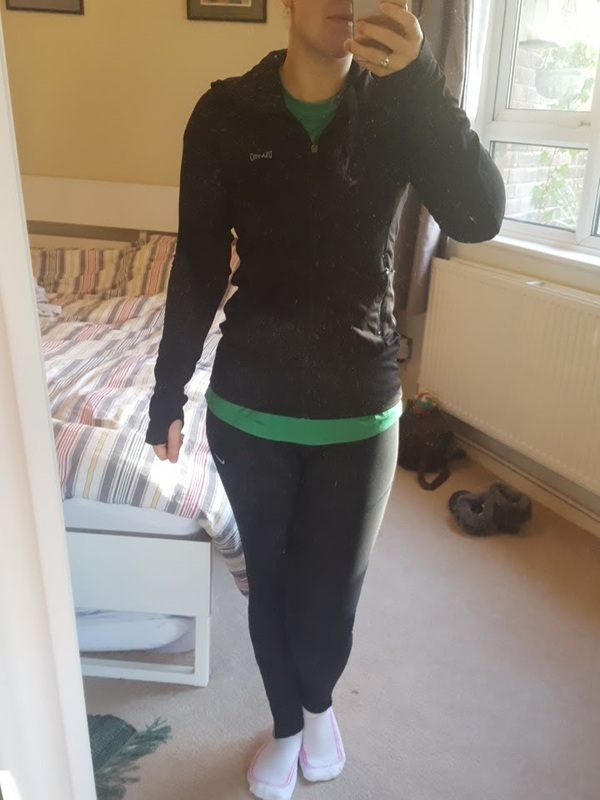 Suddenly I'm enjoying the run, I'm feeling good about my progress no matter how small and I'm not feeling self conscious when I'm running in front of strangers! It's very refreshing. I also love that I am running because I want to, not because I have a race coming up. It's a small thing that causes me anxiety, but a big achievement for me to be getting over an insecurity that has been plaguing me for as long as I can remember. Learning to enjoy something regardless of whether I am bad at it, or what other people are thinking about me doing it. I don't want my insecurities and fears to dictate how I live my life. I want to know that I am living my life 100% how I want to in spite of fear anxiety. Don't Let Christmas Have All The Fun!